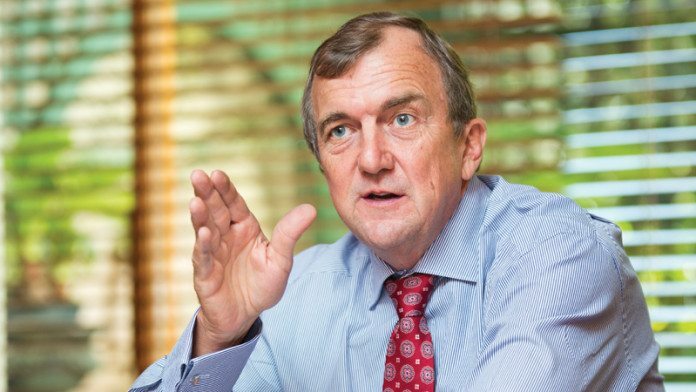 TALKS between the Government of Tanzania and Barrick Gold Corporation were “facilitated” when Mark Bristow took over the Canadian gold producer, said Bloomberg News citing the East African country’s attorney-general, Adelardus Kilangi. “It has rationalised things a little bit,” said Kilangi. “I think within one, two months a deal will be struck.” Bristow was appointed CEO of Barrick Gold following the merger of his company, Randgold Resources, with Barrick, effective January 1. On February 20, Barrick announced a potential settlement with the Tanzanians which alleged two years ago that Acacia Mining, in which Barrick has a 63.9% stake, had failed to pay $190bn in taxes, including penalties and interest. It consequently imposed a ban on gold-in-concentrates from Acacia which forced it to mothball its Bulyanhulu gold mine. Former and current Acacia Mining employees have also been imprisoned on charges of corruption, with no prospect of bail or release. In terms of the agreement put forward by Barrick, Acacia will foot a $300m payment to resolve outstanding tax claims. The government and Barrick would also share the “economic benefits” of Acacia’s gold mining on a 50/50 basis. Interestingly, Kilangi said the government may end up with a larger share of Acacia in a final deal. “At the end of the day, the country will actually get more,” he said. “If you add up to that the taxes and other revenues, remittances, it will probably go to 65% to 70,” he said.